A little lighthearted, but also very useful. The closer the hand gets to the line dividing one day from the next, the closer it is to midnight. 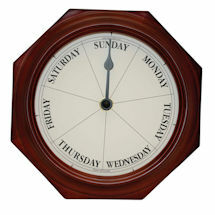 Each section's midpoint indicates noon. 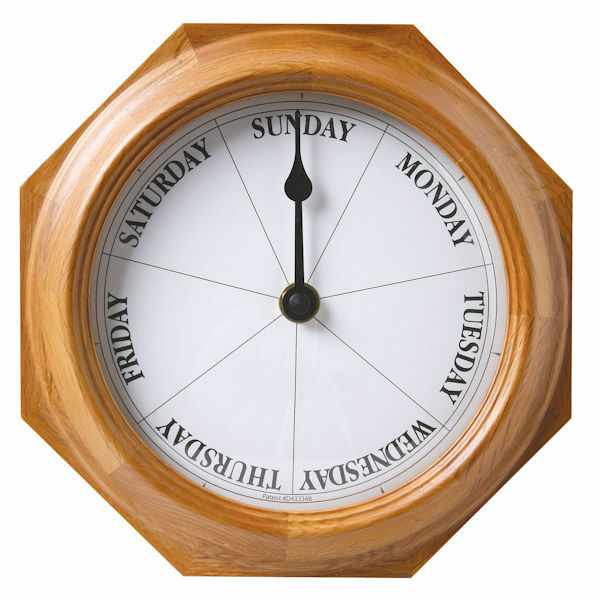 For someone who's retired, vacationing, or merely distracted, the DayClock® is a musthave. Solid oak. 9 1/4". Requires 1 AA battery (not included).